A 700+ horsepower tattoo artist. 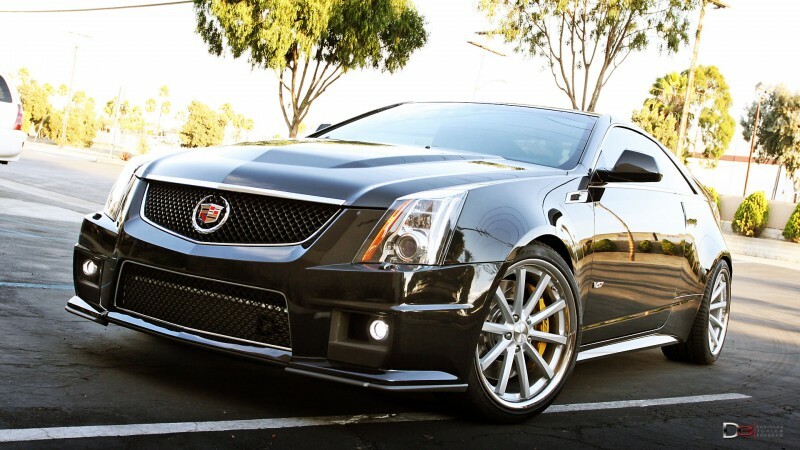 The Cadillac CTS-V Coupe is a shining example of automotive performance and style. Its sharp angles, LED lighting, classic Cadillac design cues, and a supercharged 6.2-liter V-8 make a statement in the auto world. 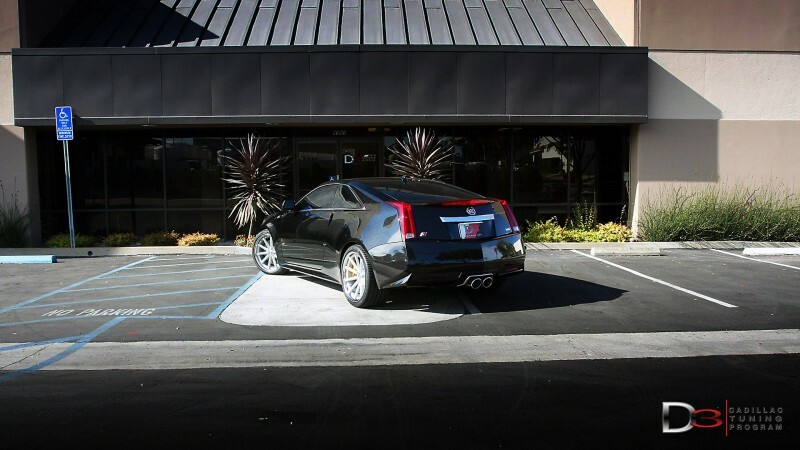 For Mark D. of INKESTRY, the modern tattoo studio based in Livermore, California, the CTS-V Coupe provided a perfect starting point for an expression of individuality and power. The Signal Hill, California based company was able to take the 2012 CTS-V Coupe to another level of performance and style while still preserving the stock ride quality. D3 Cadillac focused on adding a number of bolt-on engine upgrades, suspension modifications, and a stunning wheel and tire combo to give the CTS-V a unique, tire shredding personality. To start things off, the CTS-V was given a D3 Tuner Power Kit. It included stage 2 air intake upgrade and new intake system, Stage 2 performance pulley kit, D3 Ultracooler front mount heat exchanger/intercooler, and intercooler pump upgrade. Helping the 6.2-liter expel hot gasses in a screaming fit of rage are new B&B headers, a three-inch cross-pipe, and muffler with glistening polished tips. 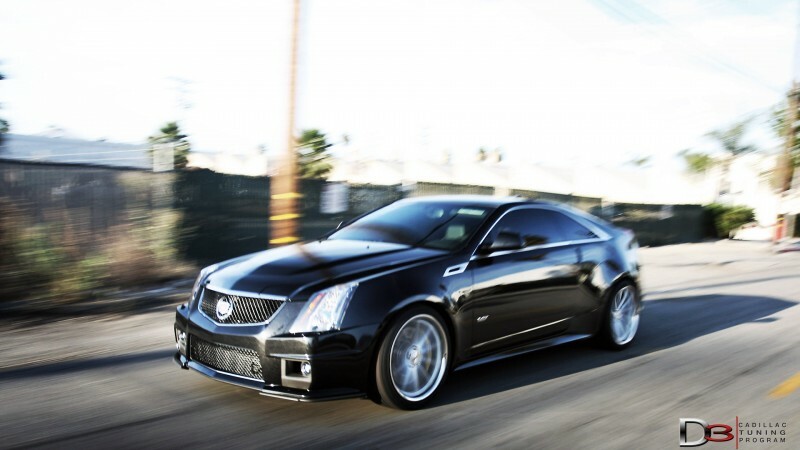 To ensure that all components work together, The D3 Cadillac CTS-V Coupe was given a performance and transmission tune, resulting in over 700 horsepower. After dyno testing, the CTS-V Coupe put down a monstrous 630 horsepower at 5,900 RPM and 644 lb-ft. of torque at 3,600 RPM; a significant increase over the stock output. In order to put all 630 horses to the asphalt, D3 Cadillac had to install a number of chassis upgrades. A new set of D3 Competition springs, sway bar kit, and end links were installed to lower the center of gravity and give the Coupe precise handling characteristics. D3 then installed stainless steel brake lines along with cross drilled and slotted machined rotors to bring the CTS-V Coupe to a halt. To complete the conversion, the Coupe was fitted with a set ten-spoke Vossen CV1 wheels with a matte silver finish to contrast the intimidating black exterior paint. A staggered 9 x 20 front and 10.5 x 20 rear fitment was chosen to improve grip at the drive wheels and give the CTS-V an athletic stance. A set of 255/35/20 front and 305/30/20 rear Pirelli P-Zero tires are worn by the Vossen wheels and help achieve greater levels of grip. After the upgrades were finished, Mark D. flew down from Livermore, California to enjoy a day of driving in his new CTS-V Coupe. The D3 INKESTRY CTS-V Coupe was a one-of-a-kind special build. For more information on D3 Cadillac and their products, visit www.d3cadillac.com. What do you think of the D3 INKESTRY CTS-V Coupe? Leave a comment and let us know!